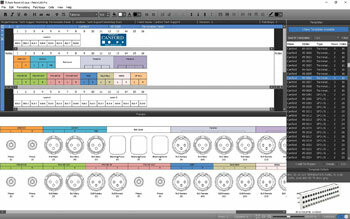 PatchCAD PRO is a design and labelling software application for Windows PC allowing the user to quickly design, annotate and print patchbay designation strip labels as well as create patchbay/connection panel layout diagrams complete with notes and graphical representations of panel connectors used. This cost effective application features simple to use editing tools and an extensive range of designation strip templates from many manufacturers including all patchbays and connection panels manufactured by Canford. 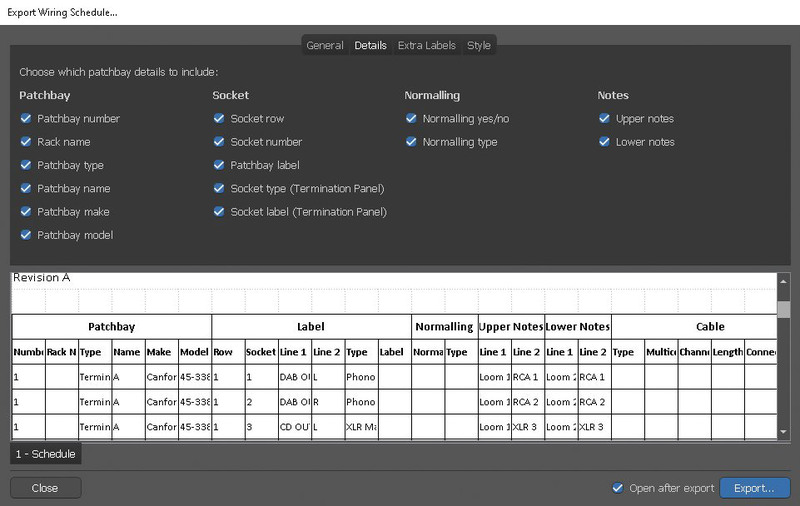 PatchCAD PRO template files are regularly updated and can be downloaded from within the application at no additional cost. 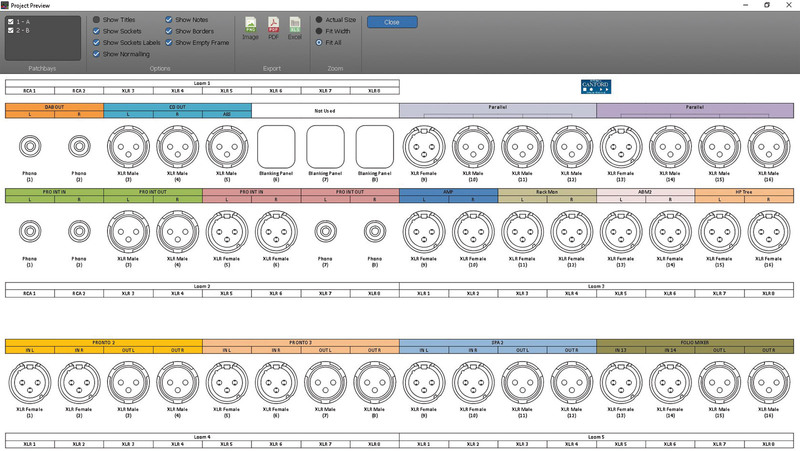 PatchCAD PRO also allows the user to create their own custom template layouts. All finished designs can be printed to any Windows compatible printer on any paper size as well as universal support for Windows compatible label printers. Finished designs can also be exported as a PNG, JPG or GIF image files, Excel document or PDF for use in manuals, system documentation, sharing online, collaborating with colleagues and clients. The .NET Framework is normally included with Windows. The installer will prompt if it is missing and will offer to download it for you. 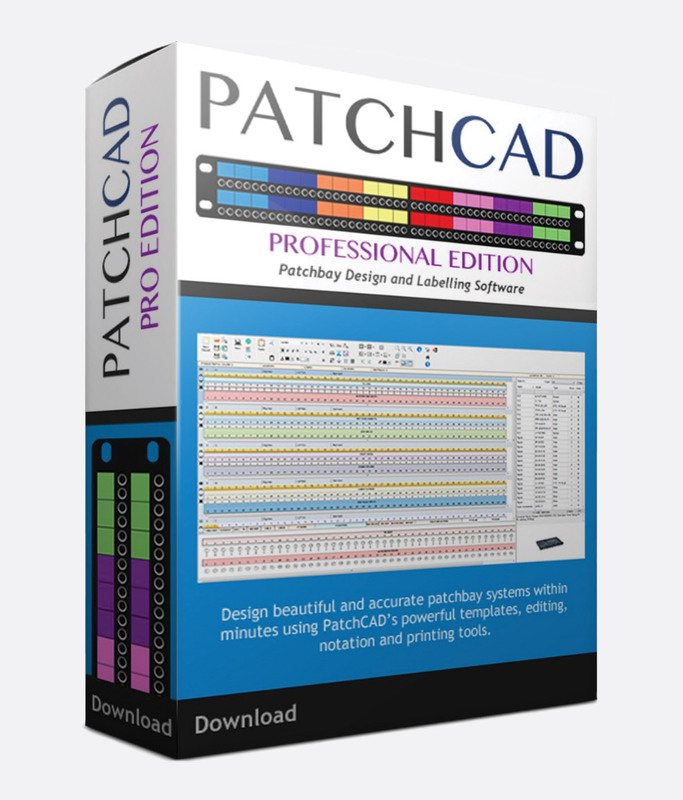 PatchCAD works on any Virtual Machine that supports all of the above operating systems, (aside from Vista SP2), and also operates with Mac OS X’s Bootcamp for Intel-Mac hardware. No native Mac support as yet. Using a virtual machine running Windows inside OS X, or using Apple’s Bootcamp to run Windows on an Intel-Mac it is possible to then use PatchCAD on this platform. Suggested screen resolution, 1280 x 800 or higher. 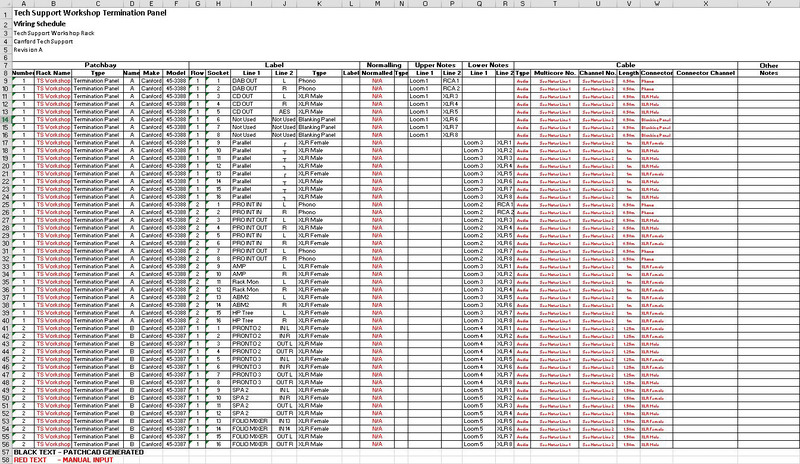 Exports PNG, JPG or GIF image, Excel document or PDF. When you purchase this product, a unique activation code and download link will be emailed to you which you redeem on the PatchCAD website. During this process you will be asked to create an account. The account allows the purchaser to manage/activate up to 3 installations of the software. When PatchCAD Pro is installed on a computer or virtual machine, you will be prompted to enter your activation key. After three activations if you would like to authorise another computer, simply log in to your account on the PatchCAD website, navigate to Manage Activations and remove one of the existing activations and then activate the new installation. For out of hours ordering the activation code and download link should be delivered the next working day.